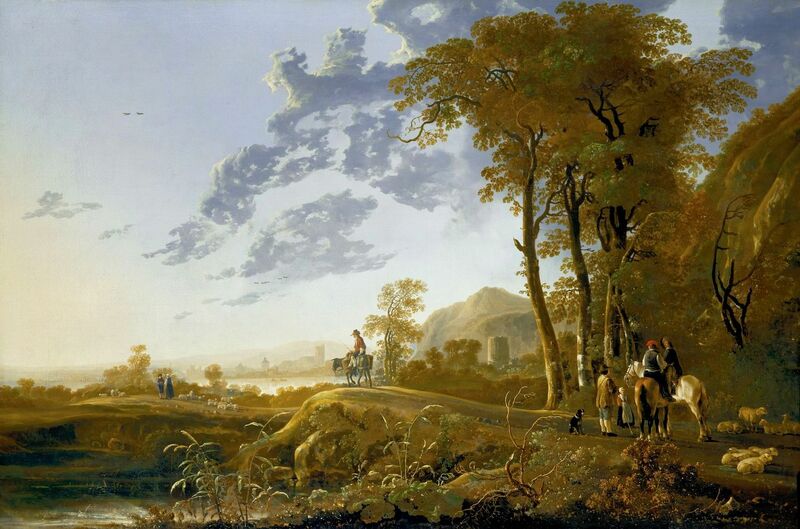 Aelbert Cuyp – Kenwood House. Title: View of Dordrecht. Date: c. 1655. Materials: oil on canvas. Dimensions: 97.8 x 137.8 cm. Source: https://artuk.org/discover/artworks/view-of-dordrecht-191699/search/makers:aelbert-cuyp-16201691/page/2. I have changed the light and contrast of the original photo. 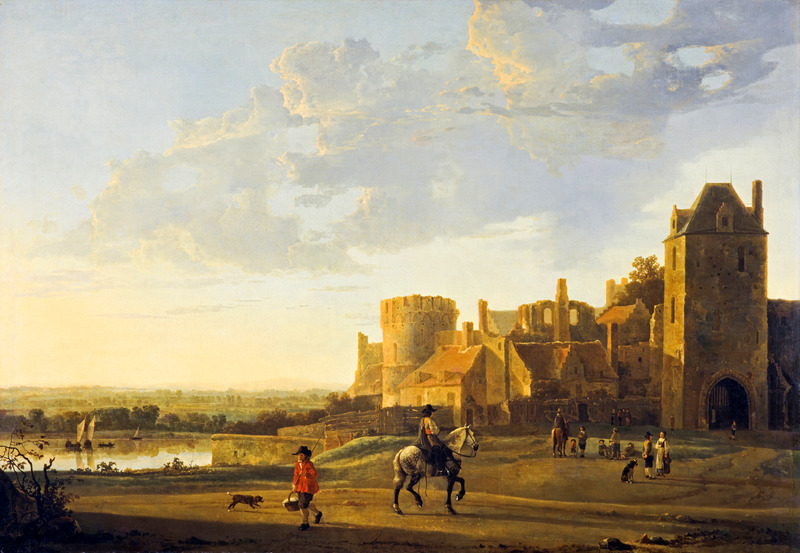 Aelbert Cuyp – National Gallery (London) NG824. 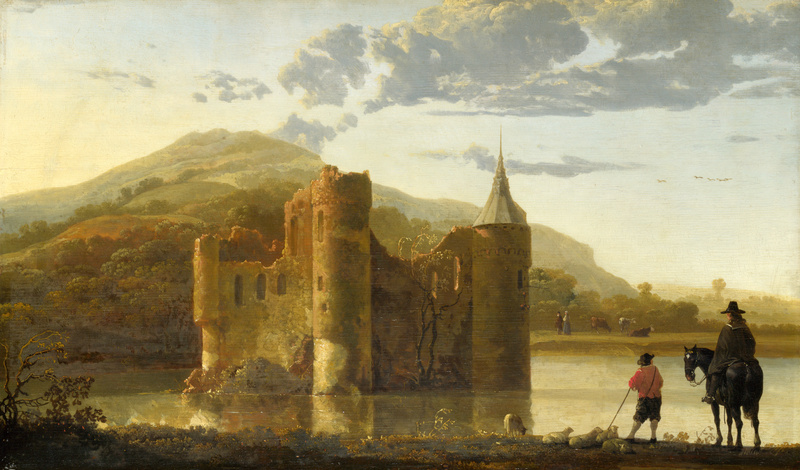 Title: Ubbergen Castle. Date: c. 1655. Materials: oil on oak. Dimensions: 32.1 x 54.5 cm. Nr. : NG824. Source: http://luxfon.com/images/201204/luxfon.com_15758.jpg. I have changed the light and contrast of the original photo. Materials: oil on panel. Dimensions: 50.2 x 107.3 cm. Nr. : 83.PB.272. 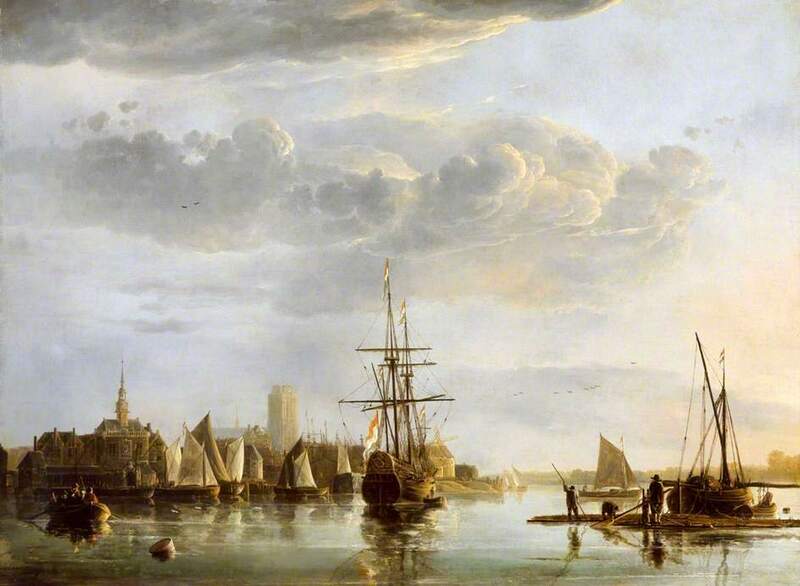 Source: http://commons.wikimedia.org/wiki/File:Aelbert_Cuyp_(Dutch_-_A_View_of_the_Maas_at_Dordrecht_-_Google_Art_Project.jpg. I have changed the light and colors of the original photo.